Last week I took a class on digitizing. Although the class was not using the software I currently own ($100 version, instead of the $1495 version the class was on), I was able to learn several things that made my program seem less intimidating. I took the class to get a basic working knowledge of just “how” to digitize an image and what the basic tool functions are. Digitizing is nothing more than creating a stitch file that your embroidery machine can read from a piece of clip art or any other image file. It involves drawing on a layer on top of the image. Another great thing about the embroidery machine I now have is that I don’t have to do machine applique by manipulating the fabric under the needle. With this machine I can take a digitized file, hoop together two layers of fabric and stabilizer and push start. The machine does the applique for me and then I just trim away the excess fabric. Since I wanted to practice the skills I learned in the class, I downloaded a clip art heart from the internet and set about digitizing just the outline. 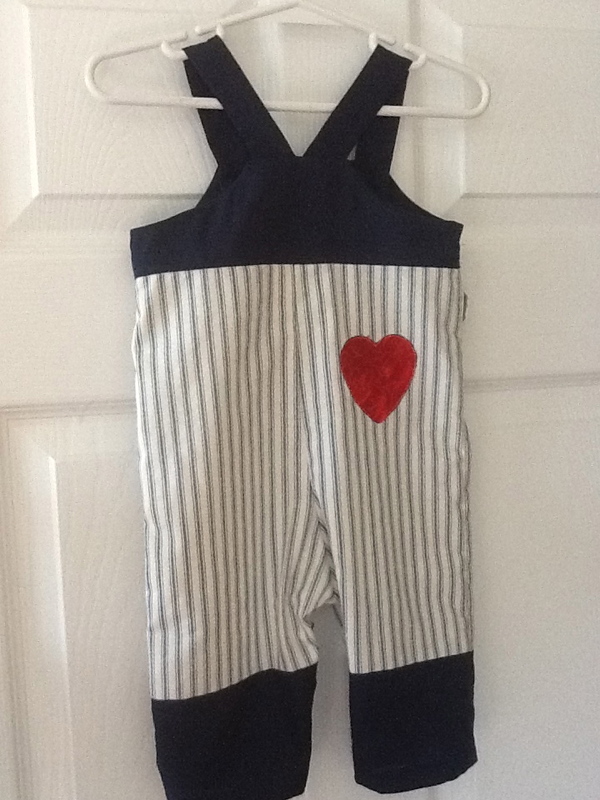 Then I did the method above and the result was a really cute applique heart. 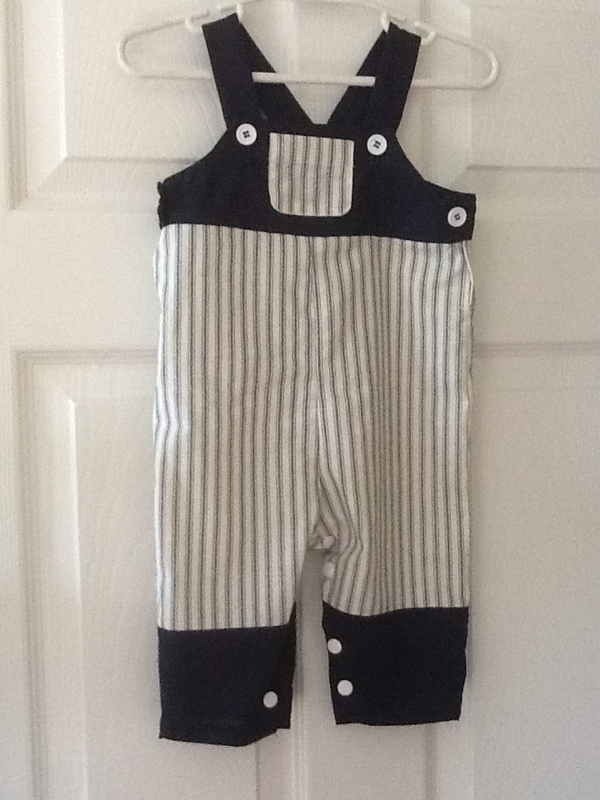 One thing led to another and by the time the day was over, I had completed a very adorable set of overalls for a 6 month old boy from scrap fabric I had in the drawer. There are endless possibilities for this method and I know you will see more of the results show up here in the coming months.